Hours subject to change, please phone to check. Other hours available on request, please phone to enquire. 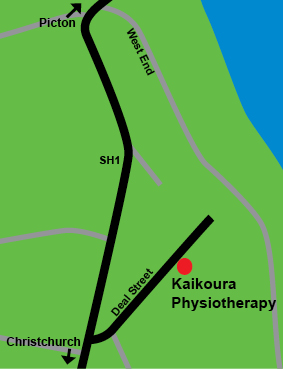 Situated within Kaikoura Health Te Ha o Te Ora; access is via a ‘transitional entry” until the new front entrance is completed. Parking is strictly on Deal St; patient walking access is down a residential driveway at 47 Deal St. This is sign posted. If unable to walk to this entrance patients can drive past the building down Deal St then turn right to go around the back of the building and be dropped off. There is no parking here. Volunteers at the entrance will be available to help with parking and guidance on where to go to reception.